In July, I was lucky enough to be invited on a one week trip to San Francisco and Yosemite. It was the perfect combination of urban exploration and natural beauty. There is so much to do in San Francisco that you can’t even begin to pack it all into two days. We made the most of our 2 full days in San Francisco and I don’t think it could have worked out better. The Weather: Mid-July – mostly sunny, some cloudy and rainy periods, cool enough in the early mornings and in the evenings that a light jacket will make things more enjoyable. Low of 15C (59F), high of 25C (77F). The Company: A wonderful family trip for 6 adults. Overall, people in San Francisco were easy going. I was particularly impressed by how helpful the bus and municipal street car drivers were. They seem to be used to helping tourists and were not jaded by it. 5pm – Check into our downtown hotel after a long drive from Yosemite. 6:30pm – Had a delicious dinner at Sauce on Belden Place (more on that here). 8:30pm – Exploring union square and adjacent stores (including the Walgreens flagship store – it’s a pharmacy – where I was told by the security guard, “no pictures allowed!”). There’s a heart shaped art piece in union square designed by Tony Bennett; otherwise, it’s a big square where you can find fellow tourists with cameras. Unfortunately, it was also surrounded by construction. 8am – Heading out to get breakfast and an early start. 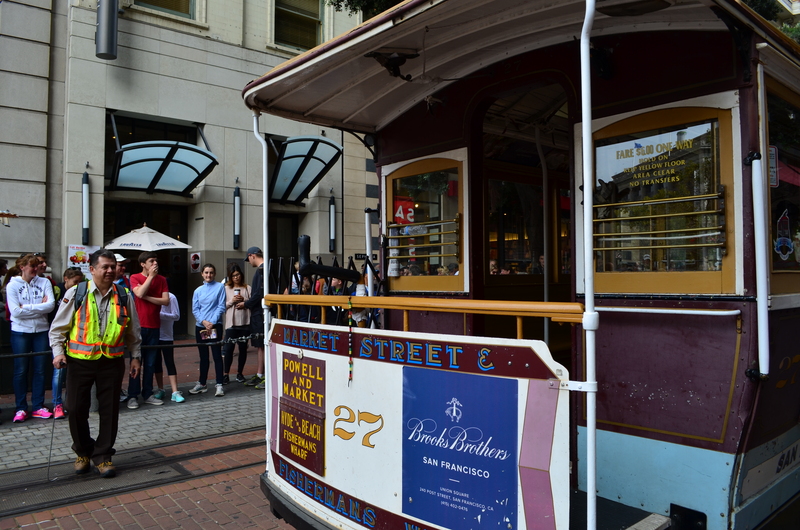 9am – Board the cable car at the Powell/Market turntable stop (one of the main stops) for the Powel/Mason line. Good thing we arrived early – there was already a line up but the afternoon line up was 2 to 3 times longer. It was also a good idea to board at the main stop because it was already so packed that it would be hard to get a family on board at the later stops. It’s lots of fun to ride on the outside of the cable car but when the gripman says, “Tourist! No leaning!” you better listen. We also bought the day pass which allows you to board public transit for the rest of the day. You’ll also pass the famous windy Lombard Street on the way. The cable car makes a stop there if you’re interested. 10am – Get off the cable car to visit Fisherman’s Wharf and Pier 39 – Why not? We’re in San Francisco after all! 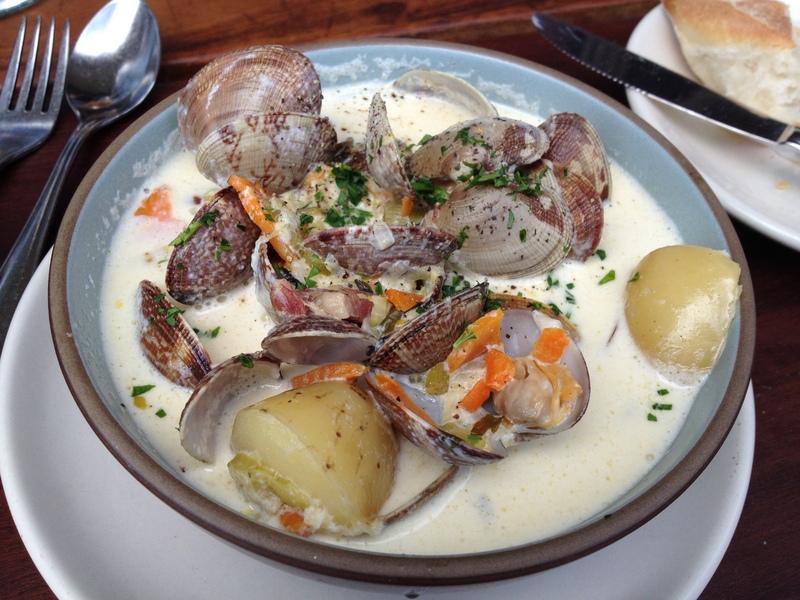 Clam Chowder at Hog Island Oyster Co.
1pm – After lunch we continued on the F-line to Castro and slowly meandered our way to Mission. Those were two areas of San Francisco that we wanted to visit. There are many more areas to visit but if your time is limited, you’ll have to make a choice. It was really nice to take some time away from the busier spots and enjoy a walk through the neighbourhoods. 4pm – Caught the bus back to our hotel for some rest (good thing we bought those full day transit passes). 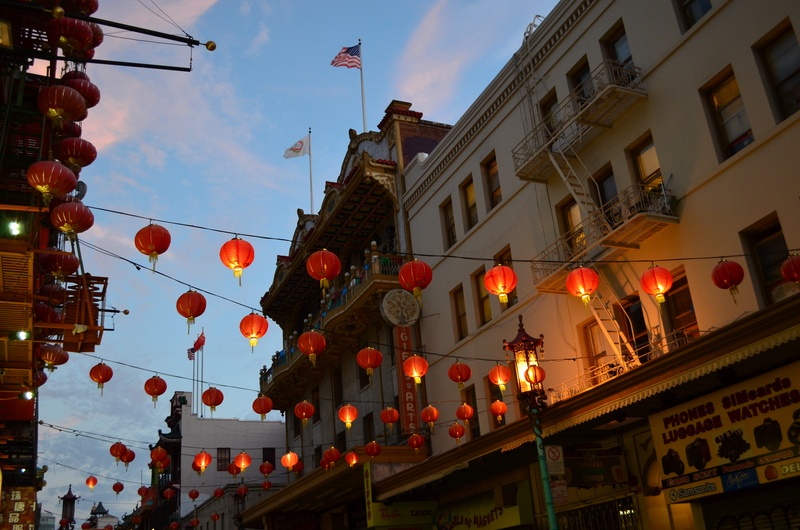 6pm – Walk along Grant Street through Chinatown on our way to dinner at E Tutto Quo – it’s highly rated online but be prepared for lots of noise, energy, and waiters who check in very frequently. They also play Roman Holiday on loop. My house-made spaghetti was delicious. The building is also beautiful and for those interested, it is right across City Lights Bookstore. 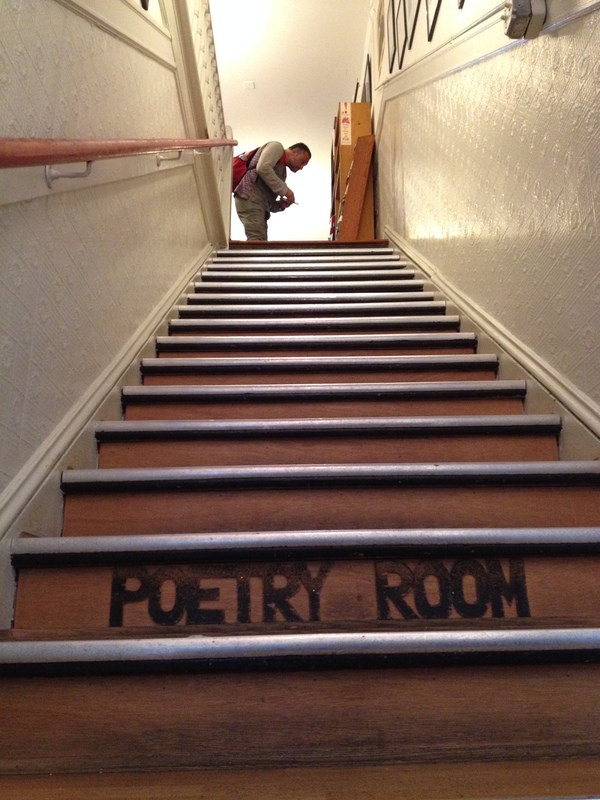 8pm – Visit City Lights Bookstore and a little walk through the area. 10pm – Time to recharge. 6:30am – Rise and shine! We have lots we want to see and do! 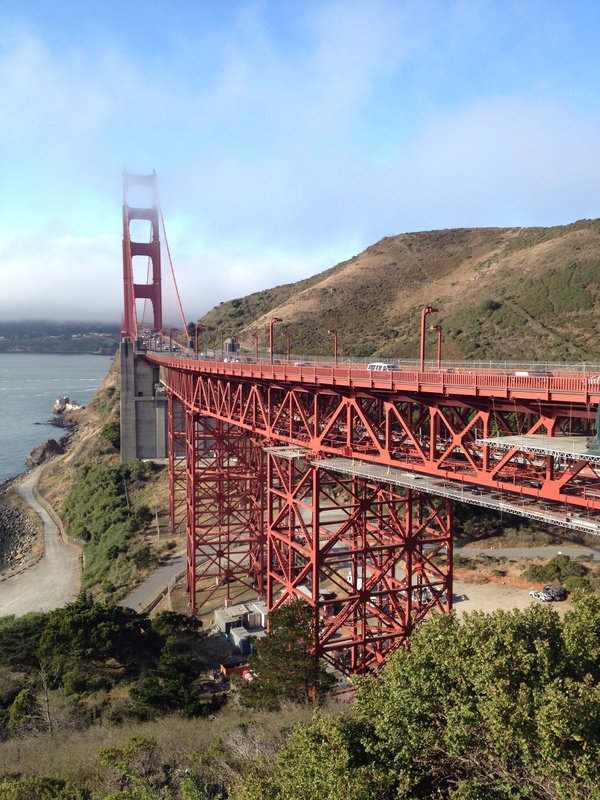 7:30am – Took a taxi to the Golden Gate Bridge Pavilion. A nice quick car ride since there weren’t many cars on the road. It was a little foggy but we still got some quick pictures in before our run. We were told by multiple people that the bridge is very windy but we were lucky that it was relatively warm and the wind was mild. Nevertheless, bringing a good sweater or wind breaker is a good idea. The run across the bridge itself is about 2.7km (1.7mi). 8am – Arrived at the other end of the golden gate bridge. Time to find our way to Sausalito to catch the ferry back to San Francisco. Luckily, a couple on bicycle stopped to give us directions. If you take the stairs and go under the bridge and to the other side, there’s a trail that takes you to Sausalito. However, we also discovered it was another 5km to Sausalito; a little longer than it would have been to run back across the bridge but we wanted to visit Sausalito anyway. 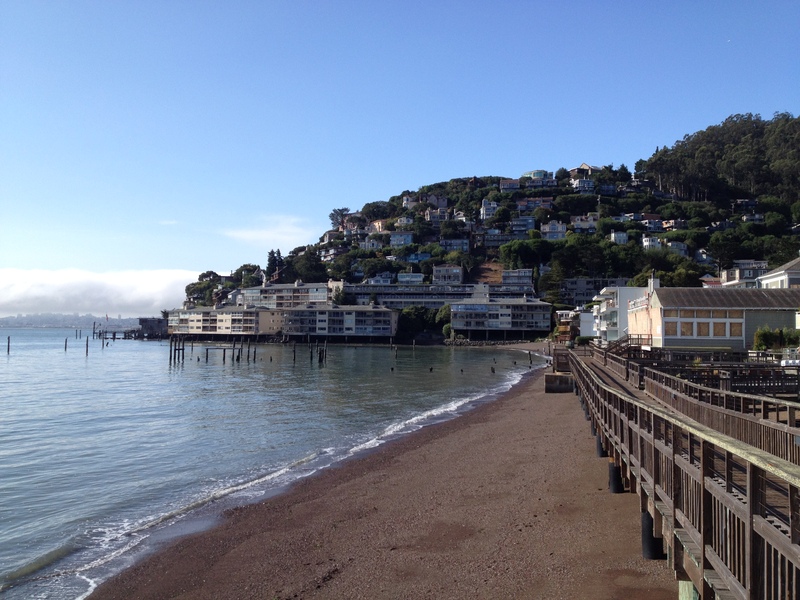 9am – Arrived in Sausalito. It is beautiful and charming. We stopped at a local bakery for breakfast: it was time for some strawberry ice cream. 10:00 – It turns out the ferry wasn’t leaving arriving until 10:45 so we took the golden gate transit bus back into town and got to enjoy the view from the golden gate bridge one more time. 12:00 – After showering and a quick break, we headed back out aboard the golden gate transit to visit the Palace of Fine Arts in the Presidio area. Brought snacks and a small lunch to eat along the way. A friend had shown me a picture of the Palace of Fine Arts and it was so impressive I had to see it for myself. Indeed it is beautiful and a great spot to find some green space and have a picnic. 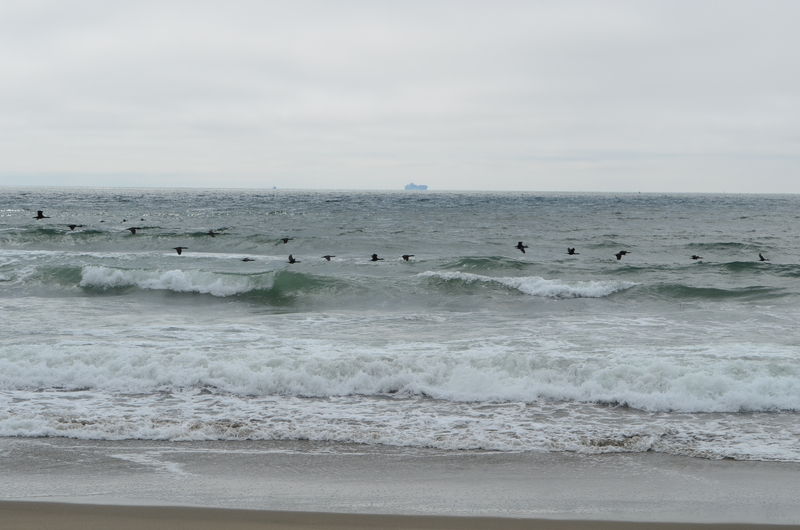 2pm – Took the bus to the the Golden Gate Park where we rented bicycles and helmets from Golden Gate Park Skate and Bike on Fulton St by 6th Ave. From there we meandered our way through the park until we got to the beach where we could dip our feet in the ocean. Fortunately for me, the ride to the beach was mostly downhill and we were able to catch the bus back up the hill from 46th ave to 6th ave.
8pm – Dinner at Jeanne D’Arc at the Cornell Hotel. Again another restaurant full of character but this time more of the sword and armour kind. Bring a sweater. Mornings and evenings (and the shade) can be chilly so why not stay warm so you can enjoy your visit rather than constantly being reminded of how cold you are. Be cool man, not cold. If you plan on riding the cable car, get there early (before 9am) and board at the main stations at the end of the cable car lines, especially if you’re a group. There’s hardly any room left after the cable car leaves the main station. Late morning and afternoons, the lines are incredibly long. You could also ride at night when it is less busy. 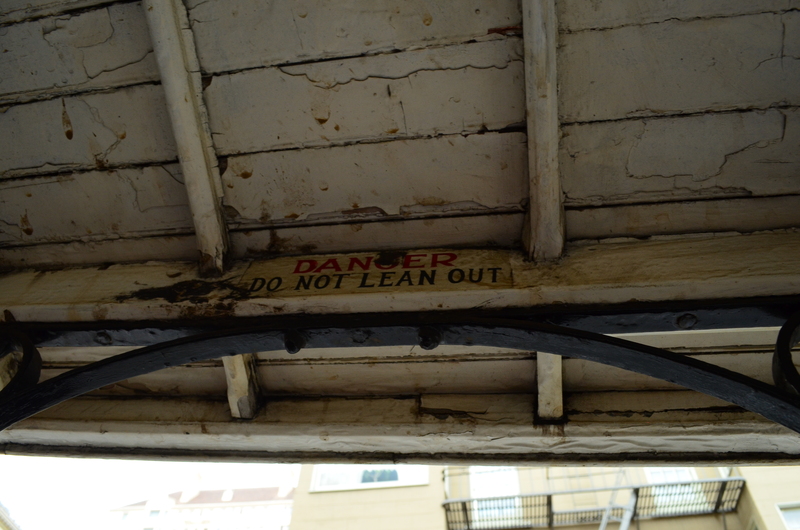 Remember if the gripman says “no leaning out!” he means it; those cable cars go through some pretty narrow traffic. Get a full day transit pass along with your cable car ticket so you can keep riding municipal transit all day. While Fisherman’s Wharf and Pier 39 are very popular, I would suggest grabbing a bite to eat at the Ferry Building Market Place instead. It’s less busy and you can get your hands on some locals treats and eats. For the photographers out there, you can go up the main stairs of the Ferry Building and get some beautiful pictures from the second floor. The building also houses offices so you can’t wander off the main atrium; the security guard will let you know. If you’re visiting Sausalito and you want to take the ferry back to downtown San Francisco, check the schedules ahead of time. They were much more infrequent than we thought (each ferry was more than an hour apart). There are many neighbourhoods in San Francisco so pick one or two and give yourself time to explore. 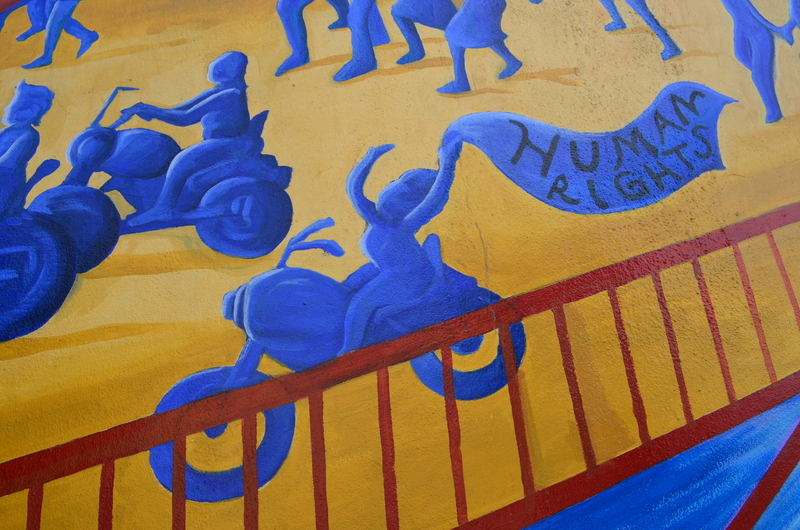 We enjoyed walking through Castro and Mission. Favourite place to eat: There is a lot of delicious food in San Francisco it seems but of the places we visited, I would recommend checking out Sauce on Belden Place or even wandering down Belden Place to see if any of the restaurants in this little alley way catch your eye. More on Sauce to come! Favourite activity: Running across the Golden Gate Bridge and biking across Golden Gate Park to end up dipping our feet in the ocean. Highly recommended! In fact, renting bikes at the laid back Golden Gate Park Skate and Bike was an experience in itself. Lasting Impressions: It was a quick visit to San Francisco but we managed to visit the places we wanted to at a relatively leisurely pace. I think part of why it felt leisurely was that we picked places to go to but not what we would do there. It gave us a chance to explore despite a tight schedule. That is one travel tip I would take away from this trip: plan in general, then just go with the flow. That being said, there’s lot more to see in San Francisco and I would love to go back! Word of mouth: San Francisco is a very popular destination so I’m sure many of you have been there. What was your favourite memory of San Francisco? Where should I visit next time I go? You can reply in the comments below or through my contact page. If you want to see more, you can subscribe and be updated whenever I post something new.